Germar Reed started District Analyst while working at AOL, one of the early pioneering technology companies in the world. Germar focused on marketing analytics and data science consulting. The technology was changing the way companies communicated with their customers. This made him eager to cultivate his practice, one that would effectively intersect marketing and advanced analytics techniques that he learned working for Fortune 500 companies. He believes that what helps companies succeed is a deep understanding of how customers research and interact with a company or product digitally before making a final decision to purchase. That is the energy that sets them apart. District Analyst opened its doors in 2004. Since then, they've facilitated the success of businesses like Humana and Hilton Worldwide along with the Detroit Economic Growth Corporation which is an organization that is focused on growing the local economy in and around Detroit, MI. We at District Analyst know that finding the right analytics consulting firm to advise you is a choice not to be taken lightly. That’s why we offer free consultations to walk you through your needs, the scope of your goals, and your budget. 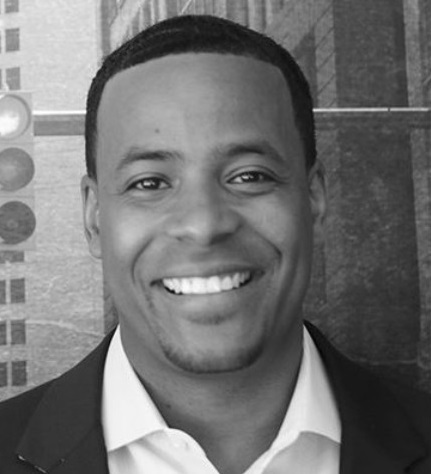 Germar Reed is the Principle Analytics Consultant at District Analyst LLC, the data analytics consulting firm based out of Washington , DC. In addition, he is a Senior Manager of Data Science and Analytics Advisory Services at Merkle Inc. where he leads a team of analytics consultants in supporting high-tech clients in Latin America. Previously, Mr. Reed served as Senior Manager of Marketing Analytics at AOL’s Paid Services Division where he advised both the division Chief Financial Officer and Senior Vice President of Marketing. Mr. Reed was a Senior Analytics Consultant at iKnowtion where he advised leadership at GM and other clients on utilizing their data to improve performance metrics. Before joining iKnowtion in 2013, Mr. Reed was with First Tennessee Bank., where he served as an internal analytics consultant to the Chief Marketing Officer. Mr. Reed has served as a board member or trustee of a number of public and philanthropic organizations including the American Institute of Graphic Designers in Detroit, MI where he served as Treasurer of the Board of Directors. Mr. Reed graduated in 2005 from East Carolina University with honors in business administration and Wayne State University where he received his master of business administration with honors in 2010. Mr. Reed is married to Angelinia Reed, a Director in the capital markets investment division at Freddie Mac, and they have one daughter.